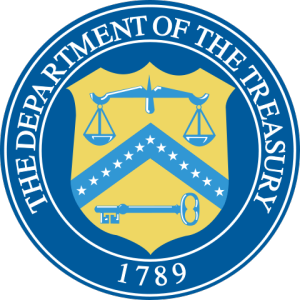 Since it was first founded in 1789, professionals nationwide have aspired to get a job with the Department of Treasury to be at the forefront of managing our government’s finances. Headquartered in the historic Treasury Building within just steps from the White House at the foundation of our government’s executive branch, the Department of Treasury is the leading agency responsible for ensuring the safety of U.S. and international financial systems. In fact, more than 100,000 employees around the world are responsible for carrying out the Treasury’s mission on a daily basis in hundreds of different career titles. If you want to land your dream job in promoting our country’s economic growth for financial stability, then read on to learn the essential information you must know to get a job with the Department of Treasury. Along with the comprehensive employee benefits available, there are numerous advantages that come with landing a job for the U.S. Department of Treasury. Within the Treasury, you receive the unparalleled opportunity to join a distinguished history in the global economy by becoming a steward for our nation’s financial systems. Beginning on your first day, you will be challenged to work with other employees to meet the economic challenges of diverse American communities for public service. With its strategic position in the heart of Washington, DC and major cities nationwide, you can have access to top-notch professional development programs that will empower your career. After all, the Department of Treasury is strongly founded on the belief of offering multi-stage career opportunities at all levels for room to grow professionally. Throughout the Department of Treasury, employees are hired in more than 250 different types of jobs to play an important role in the overall mission of managing our nation’s financial resources in a responsible manner. 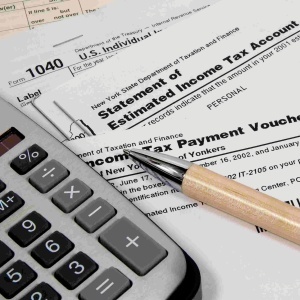 While accountants, economists, and financial analysts are the most obvious career choices available, the Treasury also offers exciting job opportunities for chemists, information technology specialists, criminal investigators, marketing managers, attorneys, budget analysts, human resource managers, intelligence specialists, and more. In addition to the world-famous Internal Revenue Service (IRS), Treasury employees can work in positions for the U.S. Mint, Office of the Comptroller of the Currency (OCC), Inspector General, Bureau of Fiscal Service (FS), or Bureau of Engraving and Printing (BEP). When it comes to landing a career within the U.S. Treasury Department, there is no one pathway that will guarantee your acceptance into the position you desire. Most jobs within the Treasury will require candidates to have at least a bachelor’s degree in a career-relevant major from an accredited institution, possess full U.S. citizenship, and have the experience needed to demonstrate the skills for the position. Depending on the job you are applying for, you may also need to have prior experience specifically within the federal government to be eligible. Through USAJobs, you can search a list of job openings in the Treasury and submit your application. When building an effective resume, remember to address all education and experience information that specifically validates your qualifications for this job. Overall, the U.S. Department of Treasury is high ranking department in the government to work, due to their respectful and dynamic work environment. Once you get a job with the Department of Treasury, you will be placed in a rewarding government position with exceptional benefits to take your career to the next level in ensuring national financial security.